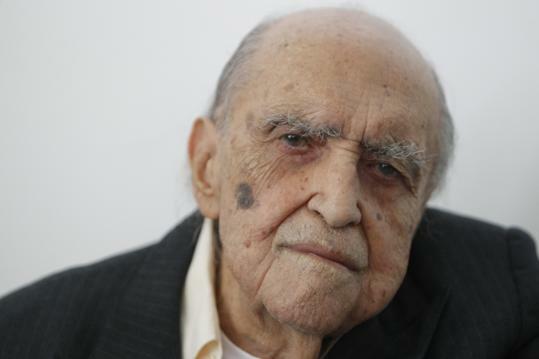 104-Year-Old Architect Oscar Niemeyer in Hospital. The health of Oscar Niemeyer is deteriorating according to a recent statement released by the hospital treating the 104-year-old architect in Rio de Janeiro. The world-renowned architect—known for his design of civic buildings in the capital city of Brasilia—landed in the hospital on November 2nd after he caught a cold that resulted in kidney failure. He took a turn for the worse last week when he experienced bleeding in his digestive track. The hospital says that he is now breathing with the help of machines, and is lucid. Up until recently, Niemeyer, who is less than a month shy of his 105th birthday, has continued to work on projects.